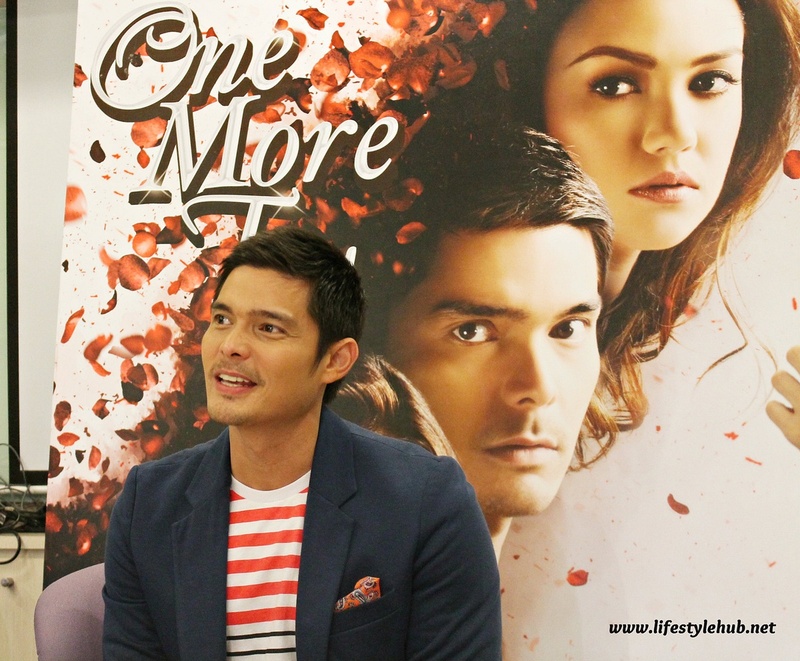 Dingdong Dantes is one of the four lead stars of Star Cinema's entry to this year's Metro Manila Film Festival One More Try. 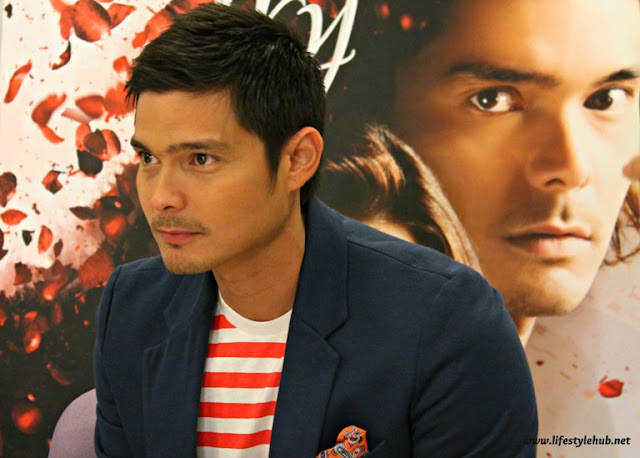 Invited by Star Cinema for a pocket presscon last Tuesday, December 19, I was feeling the interest of fellow bloggers and a few media men invited about the terms between Dingdong, his home studio GMA 7 and Star Cinema. 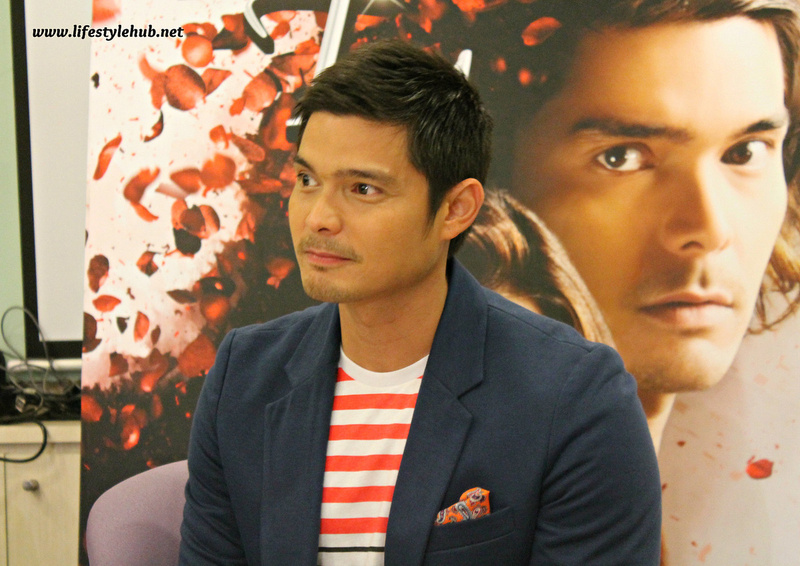 One of the premiere leading men in the country today, Dingdong walked into the board room of Star Cinema smiling. He revealed that he was given a "blessing" by GMA 7 executives. Here's a transcript of some parts of that pocket presscon which highlighted what Dingdong thought about his co-stars, reactions from real-life girlfriend Marian Rivera, his dream roles, and the chances of transferring to another network. Is GMA 7 not jealous or threatened that you will be against their own entry for the Metro Manila Film Festival? "Hindi naman. Nung nag usap naman kami early this year, I believe it was not really meant to be part of the (Metro Manila Film) Festival. Hanggang sa in the middle they decided na ito ang ilalahok nila- marami nagbago. On top of everything, I think I am just grateful that I was given another opportunity to do this with Star Cinema. It wasn't that difficult na magpaalam and I am grateful that they (GMA 7) allowed me to do this." How comfortable are you with Star Cinema now being this your second movie with them? "Syempre, madami pa din adjustments dahil unang-una iba naman kasi yung set of people that I worked with in Segunda Mano and also here in One More Try. I must admit malaki ang adjustment sa umpisa but because of the warm welcome, it wasn't that difficult for me to adjust." Is this your first time to work with Angel in a movie? "That's right. Naging producer ko po siya sa pelikula niya, yung Angels kung saan naging director po niya ako dun sa isang episode pero bukod nun, di pa po kami nabigyan ng pagkakataon na magkatrabaho ang isa't-isa." How does it feel stepping into the ABS-CBN compound? "Ahm, masaya. Masaya na nagkaroon ako pagkakataon na makapagtrabaho sa mas malawak na lugar aside from my home network. You know at the end of the day, gusto lang talaga natin gumawa ng pelikula, makapagtrabaho and I think it is rare na mabigyan ng ganitong opportunity so talagang nagpapasalamat ako that ABS-CBN considered me and that I was allowed by GMA." You are saying Dingdong that in terms of roles, nothing comes close to this role? In level of difficulty, I would say 'yes'. Ito ang isa sa pinakamahirap para sa akin personally. Yung drama, for movies, nothing comes close to this. Do you think networks should be more maluwag sa pagpapahiram ng mga artista nila when it comes to movies? Well, in an ideal world, mas maganda sana kung ganun. Diba para mabigyan ang lahat ng pantay na opportunity para mas mapalawak ang kanilang gustong gawin, mas maging wide ang range ng kanilang audience. Pero alam naman natin na di siya possible sa lahat ng pagkakataon. At the end of the movie we just all want to make movies, we just want to work, and we just want to entertain. Is this going to be your last film with Star Cinema? Wala naman po ako kasiguraduhan sa ganun. Before I thought it was impossible for me to do such move and now it happened twice. What do you think are the chances for 'One More Try' to be number 1? Syempre gusto naman ng lahat maging number 1 pero para sa akin, hangga't maari, marami makakapanood mas maganda. Hindi mo pa pi-predict 'yan basta as long as you worked hard for it, mas malaki yung chance na kikita siya. Sunod -sunod yung drama romantic movies from "The Mistress" to "A Secret Affair", what do you think should we look forward to "One More Try"? Siguro it started from that concept. But with the evolution of science and medicine, na incorporate siya sa pelikula na mas nabigyan siya ng mas malalim na conflict. Hindi lang siya nag fo-focus sa one dimension ng relationship. Naka focus siya sa madaming dimensions ng madaming relationships. Is love worth giving it "One More Try"? In any situations, if all else place, you will always anchor the greatest feeling that you have as a person and I think that is love. When love is the issue I think it is worth giving it one more try. Anong reaction ni Marian dun sa mga steamy love scenes mo? Busy po ata siya. Usually po, wala talaga siya time manood. Ano naman reactions mo sa mga love scenes ni Marian with other actors? Busy din ako. (laughs). Kanya-kanya lang 'yan. What other roles do you want to do? Hindi pa ako nakagawa ng biopic. Gusto ko sana maging Ninoy Aquino. What are the chances of you transferring to another network? As of the moment, I would like to enjoy opportunities like these that are given to me. 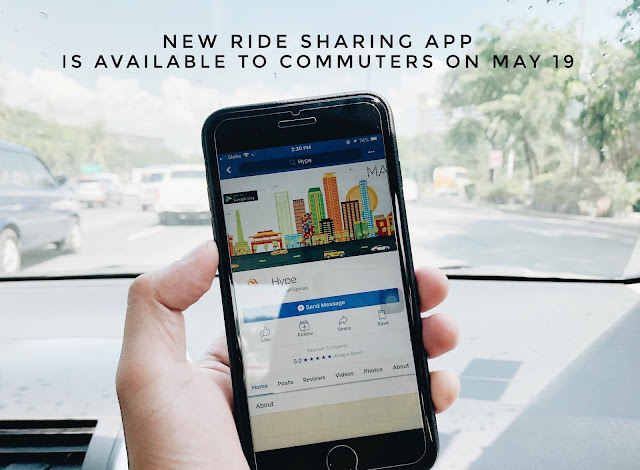 Enjoyin ko muna na ganito na pinapayagan ako na gumawa ng project sa ibang istasyon. Let's leave it as that muna. 'Let's cross the bridge when we get there' kamo.